RE: Alcoholic Beverage & Cigarette License Applications for the license period July 1, 2019 – June 30, 2020. It is your responsibility to complete the entire form for each application you submit! The City Hall office is here to assist you, not complete the forms for you! The following forms need to be completed and filed with the City under the described conditions. Please read the description carefully to determine what applications need to be filed by your entity. Applications are due by Tuesday, May 15, 2019.
form AT-103 Auxiliary Questionnaire, one for each individual. Corporations must apply for licenses under the name for which they are registered with the Secretary of State’s Office. A corporation must have at least two officers; namely, a president and a secretary who are not the same person. The president and vice president of the corporation also CANNOT be the same person. form AT-104 Appointment of Agent. * BE SURE TO PROVIDE YOUR SELLER’S PERMIT NUMBER AND FEDERAL EMPLOYER ID NUMBER IN THE AREA PROVIDED ON THE UPPER RIGHT CORNER OF THE FORM. ** Publication fee is $40.00 if submitted by Tuesday, May 15, 2019. Failure to submit by this date will cause an increase in the publication fee and may jeopardize your ability to operate or to renew your license. Please remind anyone holding an operator’s license that renewal applications must be submitted to the City Clerk’s office for Common Council approval. For approval on the June 4, 2019 meeting the application must be in our office by May 24, 2019. For approval on the June 18, 2019 meeting the application must be in our office by June 7, 2019. If applications are not received by these dates, the applications will be considered “NEW” and require a personal appearance before the Regulatory Committee and an additional $7 fee for a background check. Operator’s licenses approved at the June 4, 2019 meeting will be sent to the establishment listed by applicant unless otherwise specified. The following links are lists of Operator’s Licenses that will Expire June 30, 2019. Applicants with just a cigarette license must pay the fee when application is submitted. For applicants submitting liquor license applications, payment at time of submittal is not required only publication fee is due. Annual Renewal Letter & Cigarette Renewal Letter mailed out to establishments. The publication fee of $40.00 is due at this time. Last day to submit “LATE” beverage applications for the June 18, 2019 Council Meeting. An increased publication fee will be assessed. Renewal operator license applications due for the June 4, 2019 meeting. Approved applications can be picked up at City Hall after 2:00 p.m.
Last day to submit renewal operator license applications for the June 18, 2019 meeting. ALL LICENSES MUST BE PICKED UP BY 5:00 P.M. TO OPERATE JULY 1, 2019 AT 12:01 A.M. The list includes the Trade Name (Establishment), Owner/Agent and Address. 2018-2019 Liquor Licenses are valid thru June 30, 2019. Lists are current as of September 20, 2018. 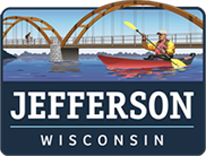 Submit completed forms to the City Hall Office, 317 South Main Street, Jefferson, WI 53549. If you have any questions or problems regarding applications please feel free to contact Sarah Copsey, City Clerk/Deputy Treasurer, at (920) 674-7700 (8:00 a.m. – 5:00 p.m., Monday-Friday) or by e-mail at sarah@jeffersonwis.com.